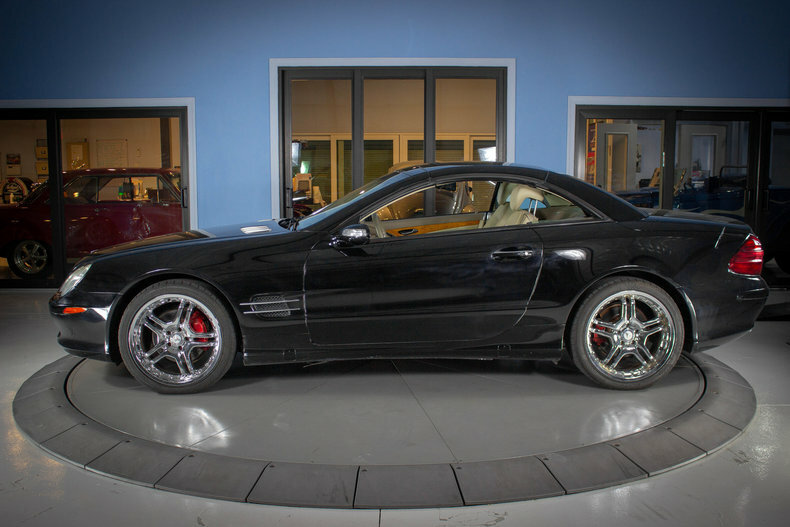 The Mercedes-Benz SL-Class is a grand touring car manufactured by Mercedes since 1954. 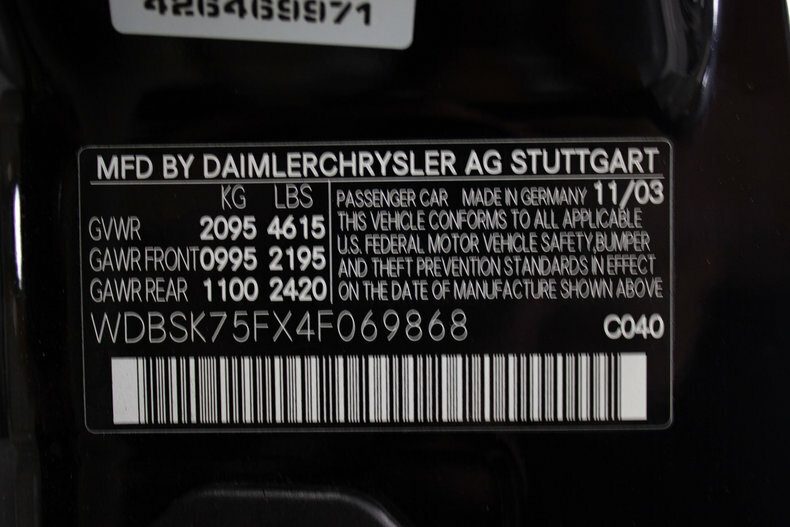 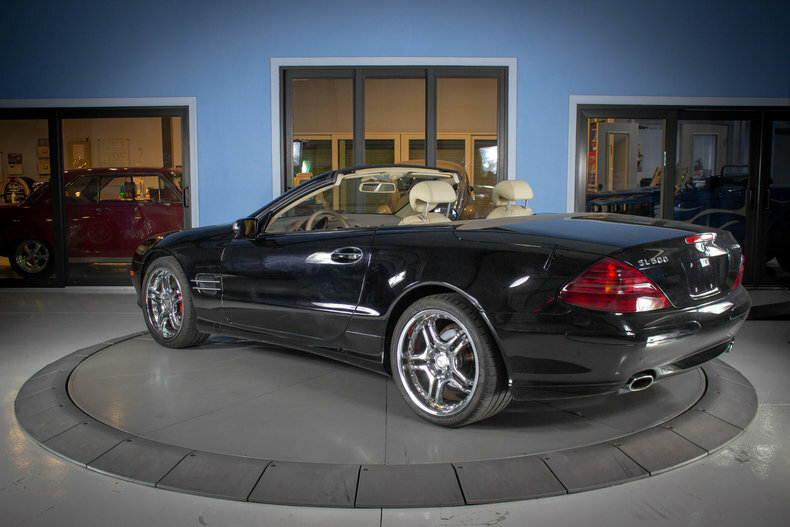 The designation SL derives from the German Sportlich-Leicht. 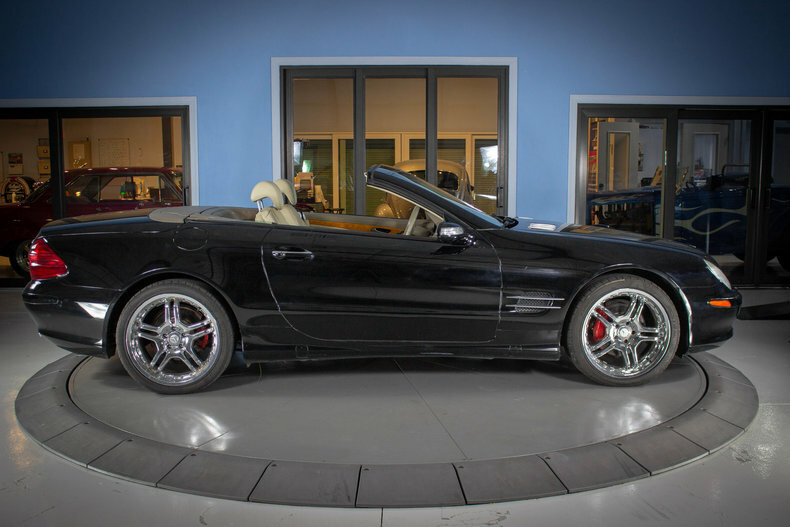 The original idea was suggested by American importer Max Hoffman, who perceived a market for a toned-down Gran Prix car tailored to affluent performance enthusiasts in the booming post-war American market, which remains the primary market for the vehicles. 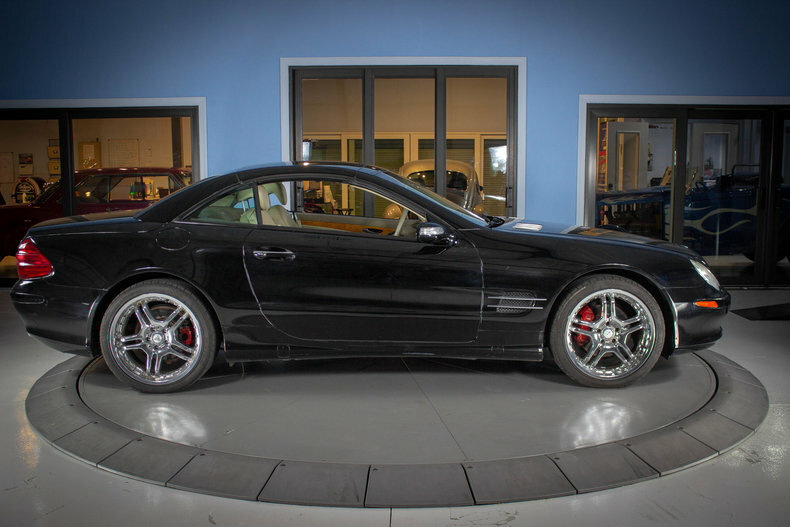 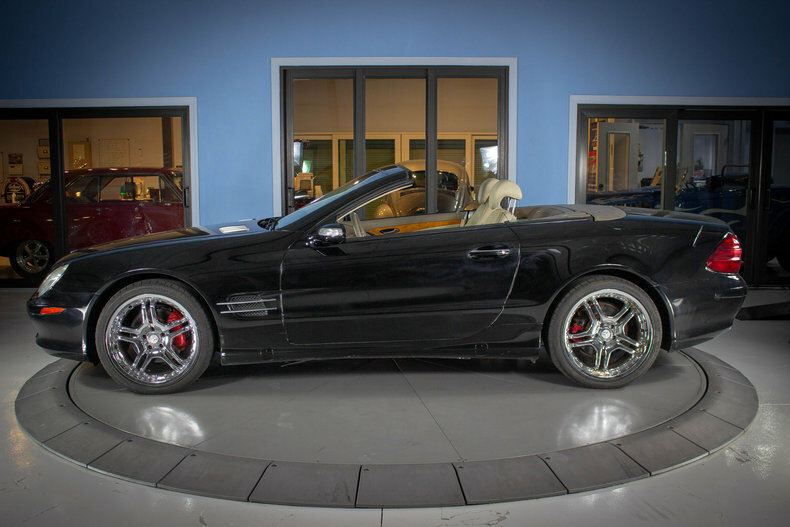 The Mercedes Benz high-performance SL 500 we have at Skyway Classics is a sinuous, sensuous roadster with dramatic styling. 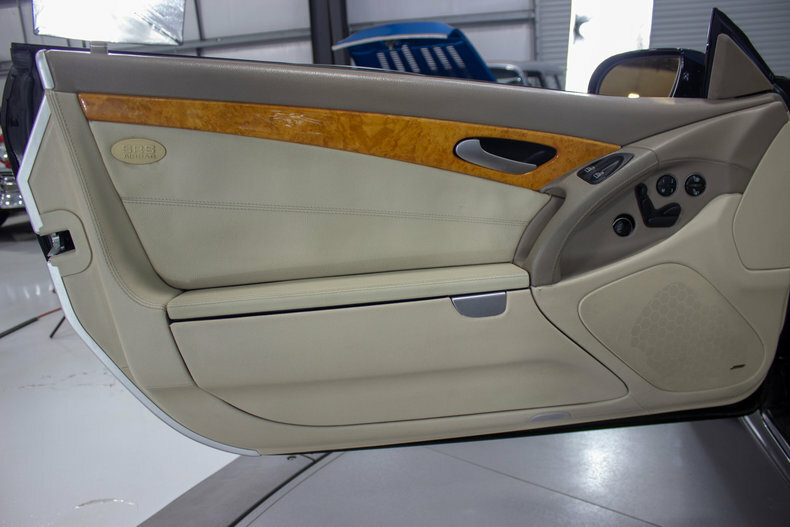 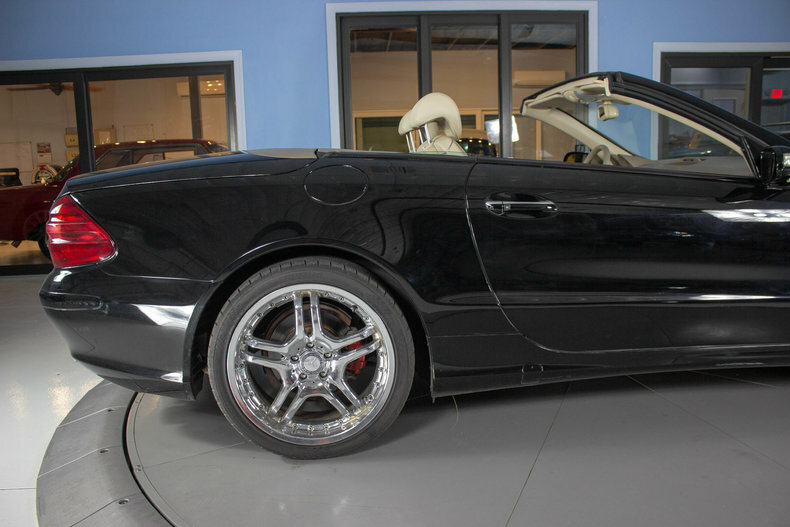 When you come here to see it you can slide into the cockpit, belt up, press the button on the console and, 16 seconds later, its retractable power steel roof changes it from the open-air fun of a convertible to the quiet comfort of a luxury coupe. 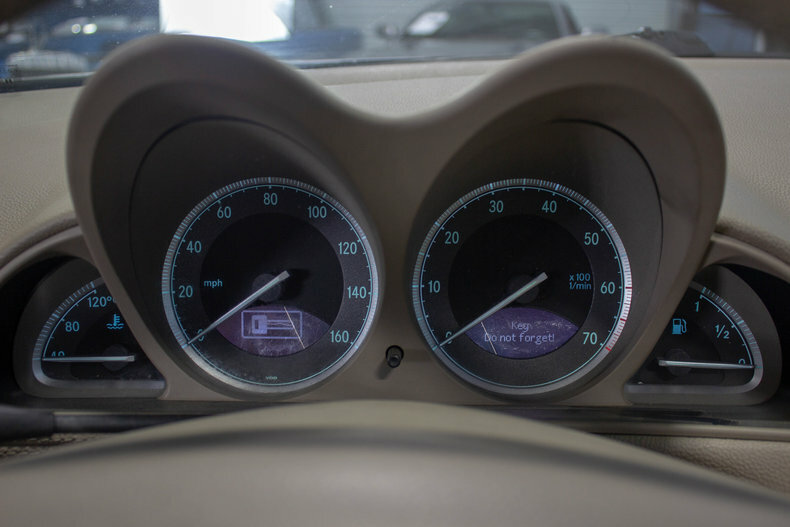 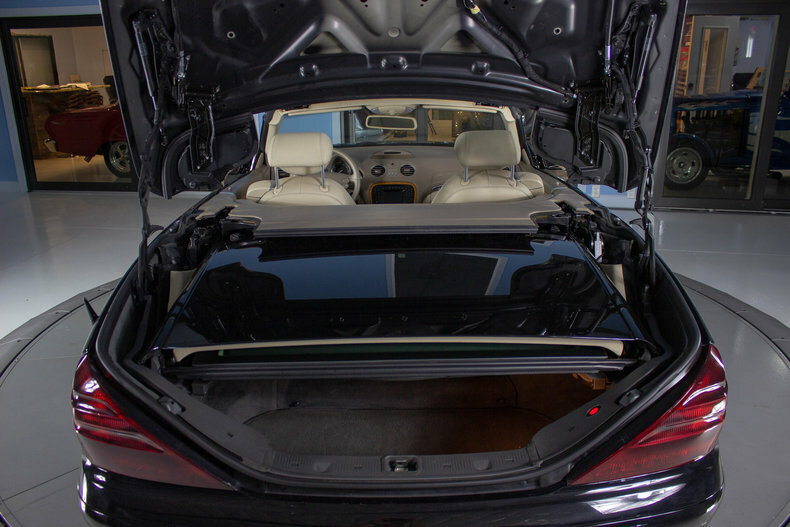 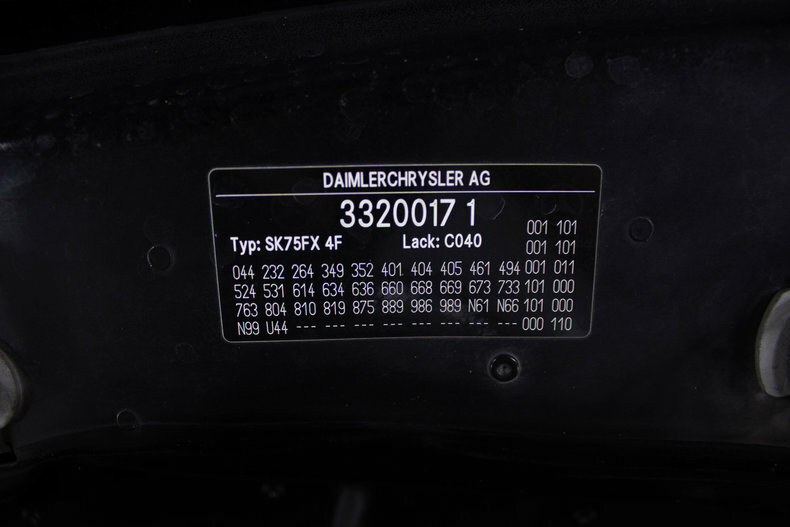 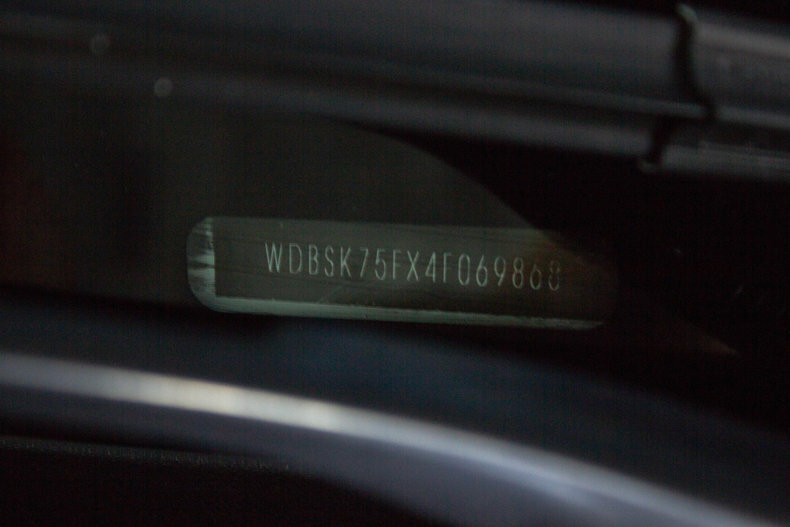 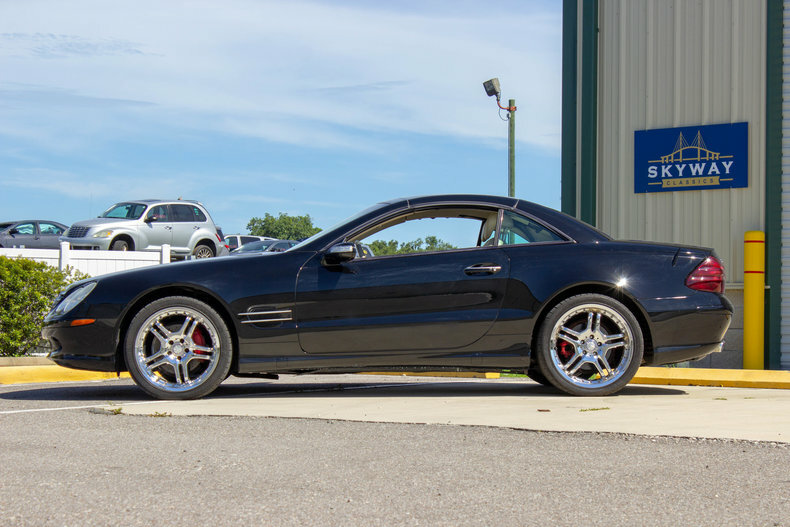 The SL is packed with every bit of automotive technology that Mercedes has perfected over the past dozen years, and that's a lot of technology, It does everything well. 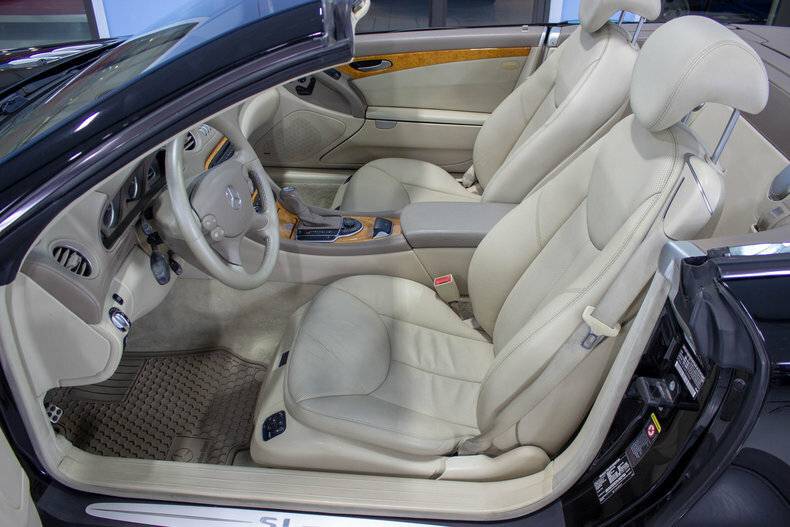 Our SL500 is loaded with everything a driver and one passenger need for grand touring, from the Bose stereo to the beautiful new interior d�cor. 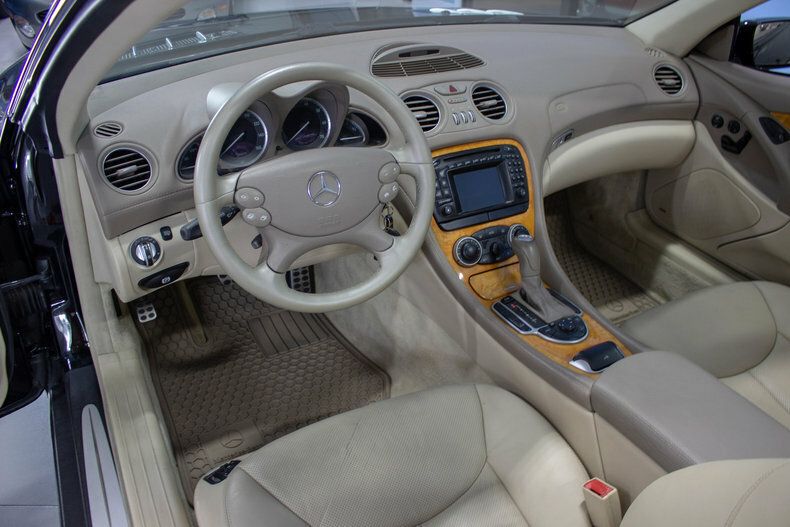 It has more standard equipment than just about any other two-seater in the world today. 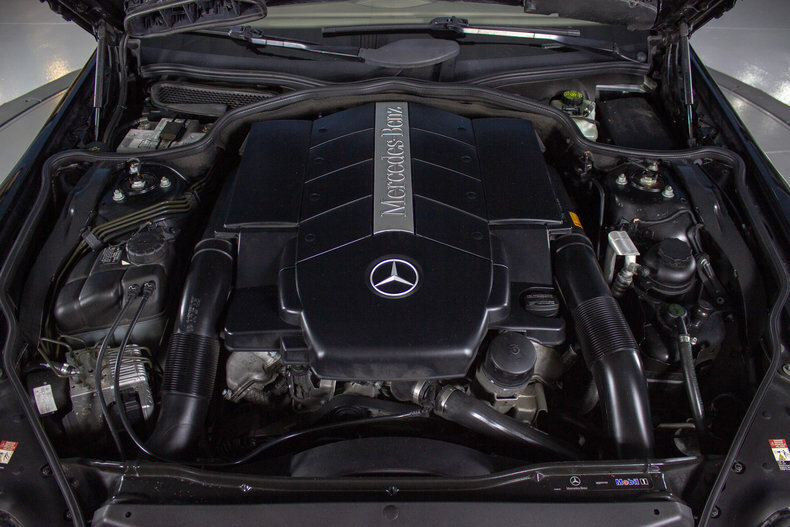 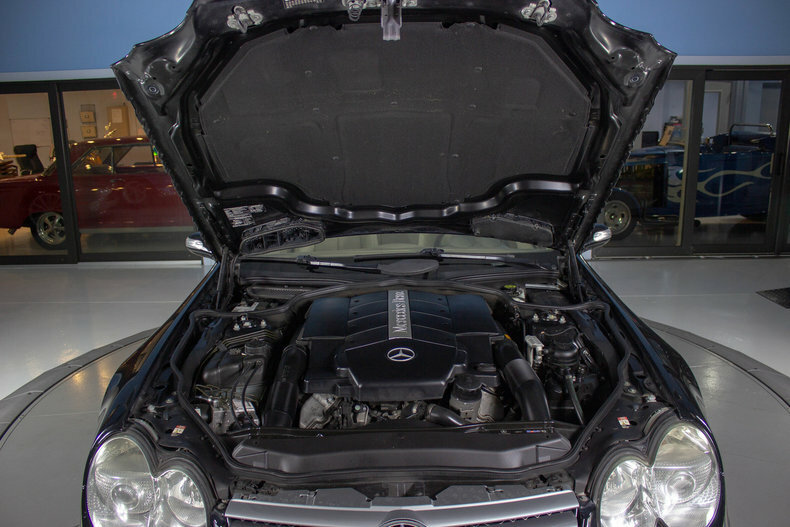 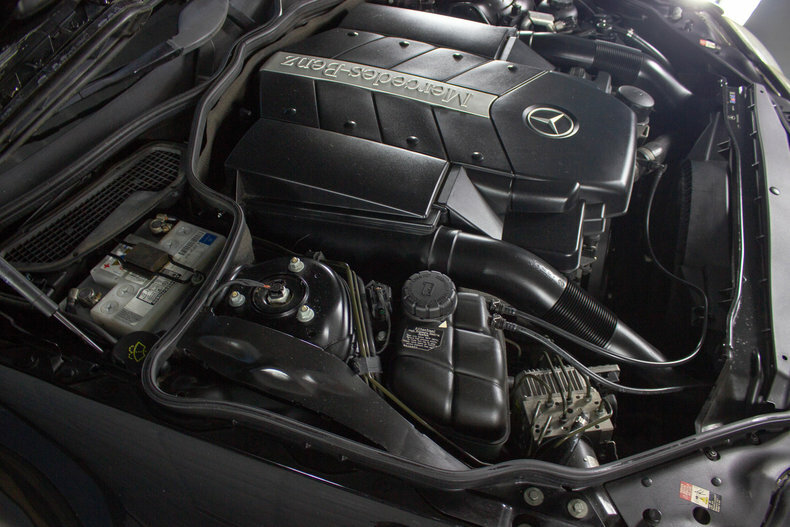 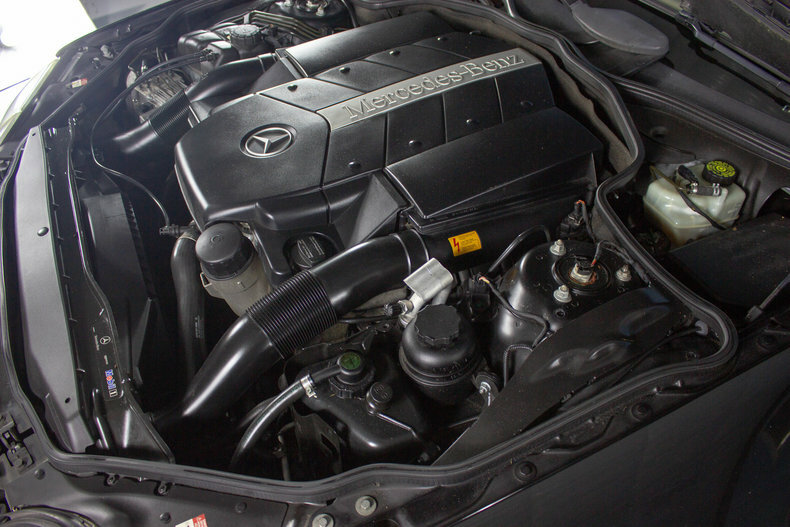 The SL500's 5.0-liter V8 engine develops 302 horsepower. 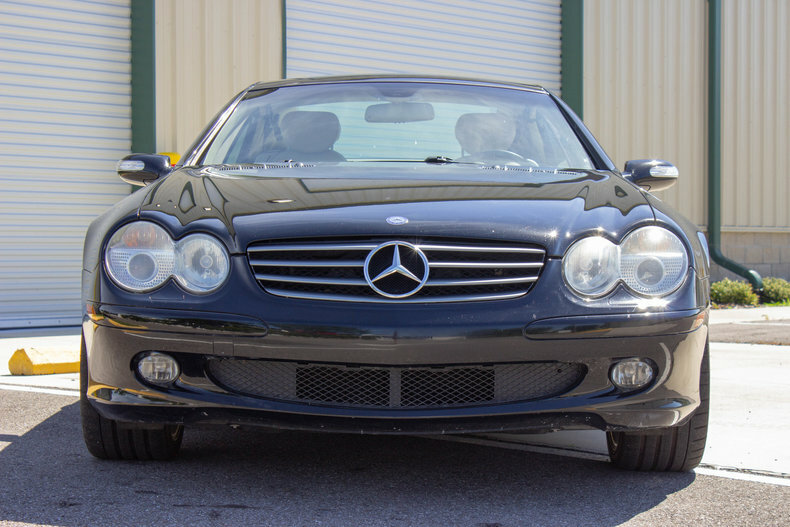 This 2004 model comes with a completely new electronically controlled, magnesium-housing 7G-Tronic 7-speed automatic transmission, the world's first, with closer ratios for quicker acceleration, instantaneous downshifting and higher fuel economy. 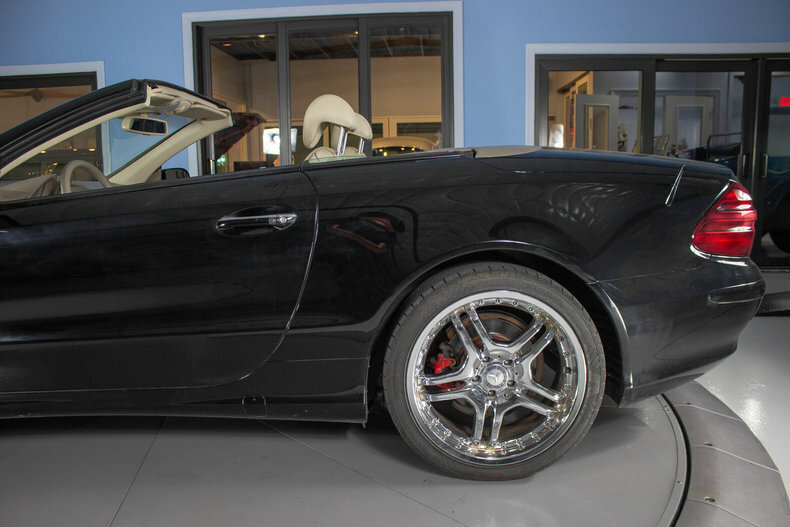 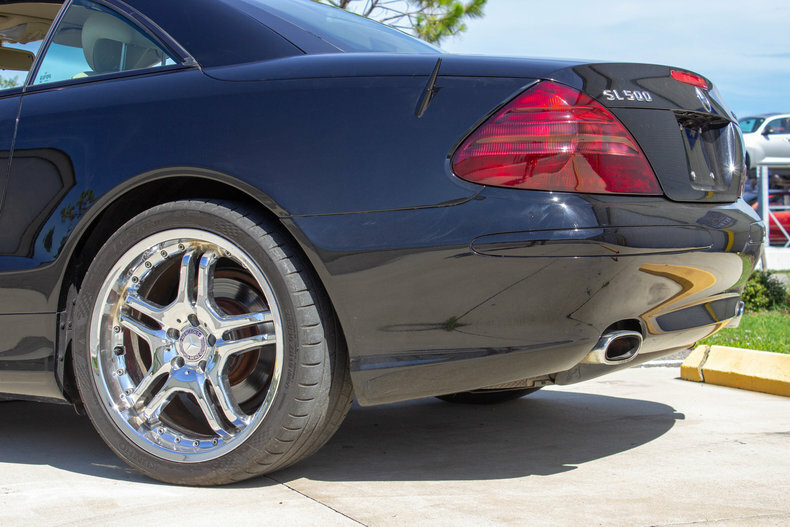 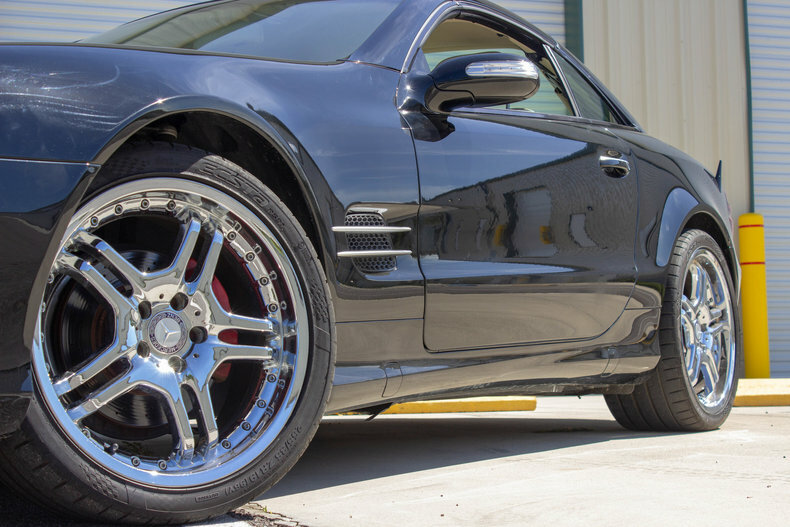 It rides on performance rated tires on chrome split-5-spoke wheels with red high performance brake calipers. 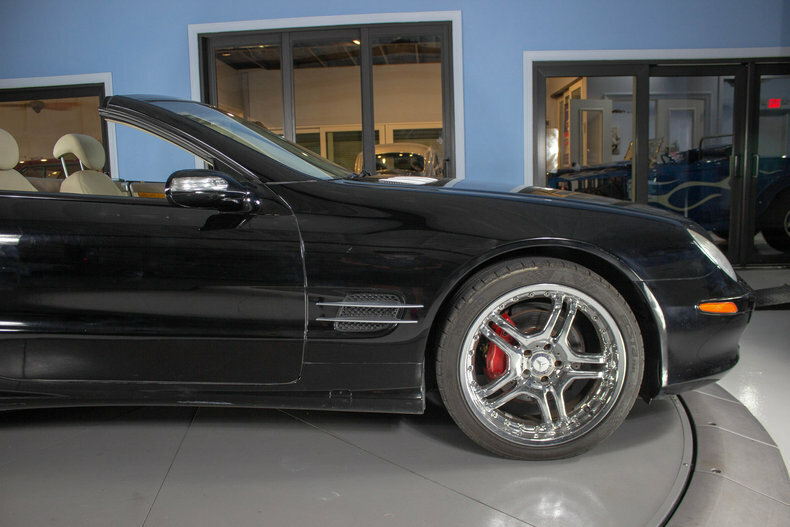 It also has air, power steering and 4 shell power disc brakes. 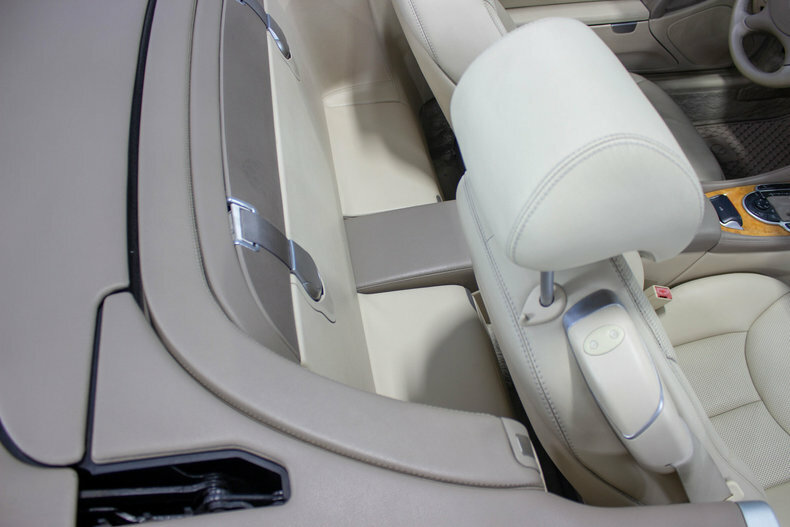 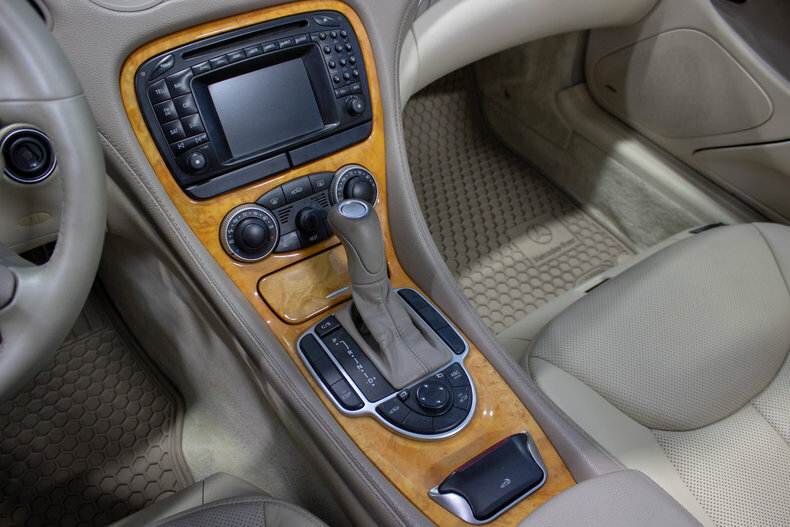 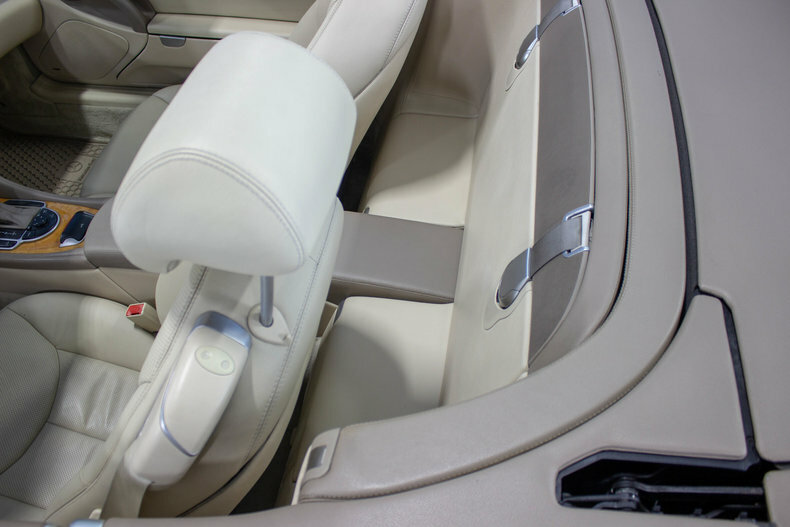 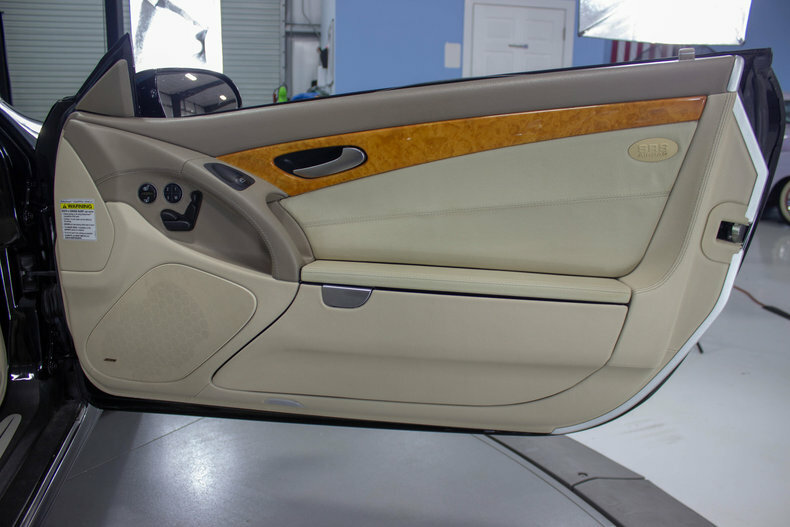 The light grey with wood trim bucket seat interior is plush and has all the options like power door locks, alarm, automatic trunk release, courtesy lights, remote keyless entry, stereo radio system, navigation, cruise, factory tach, and more. 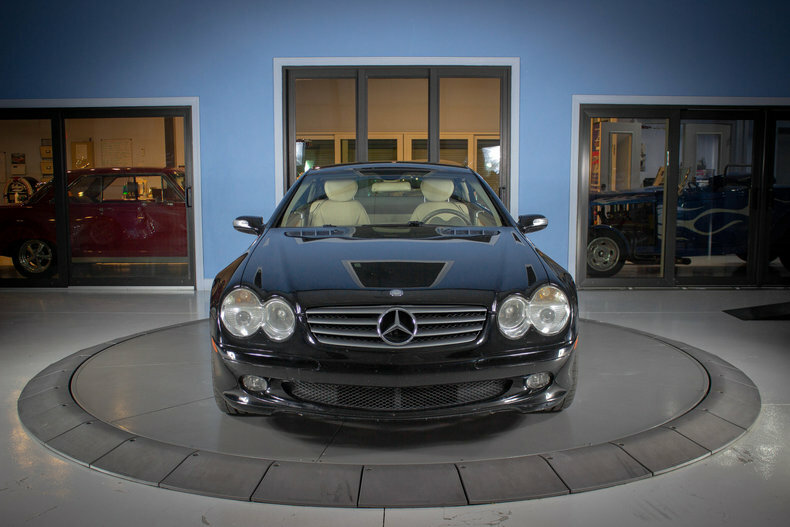 The slick black exterior is great looking with great lines and swoops hood. 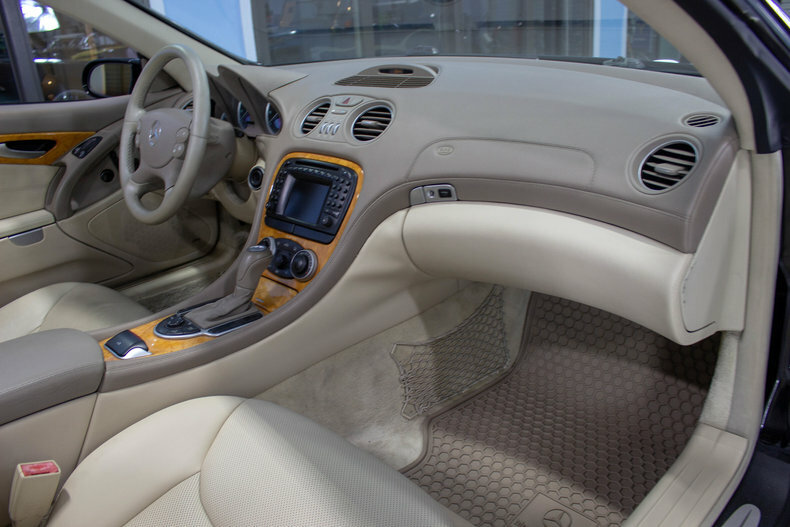 It looks both fast and luxurious, which it is. 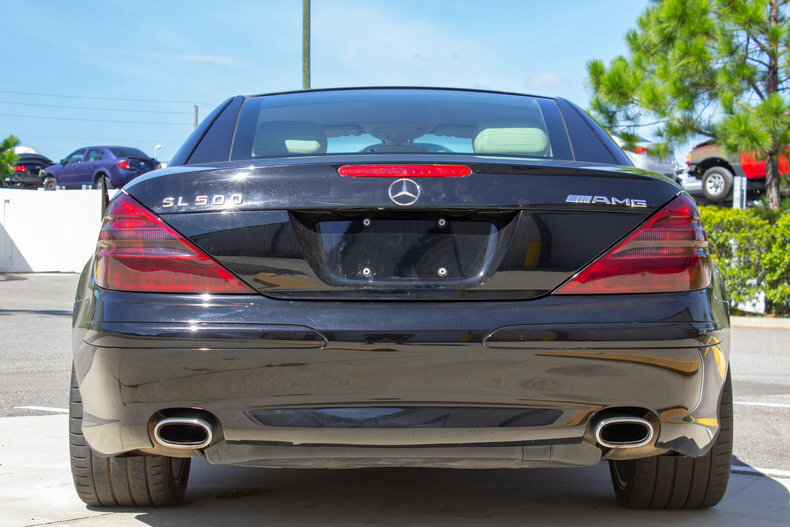 It has a great stance and with the power fold-down top is easy to cruise with it up or down. 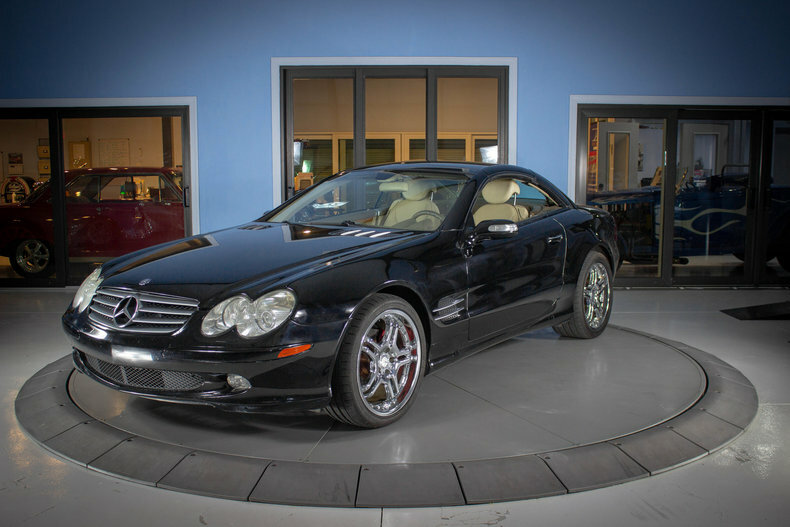 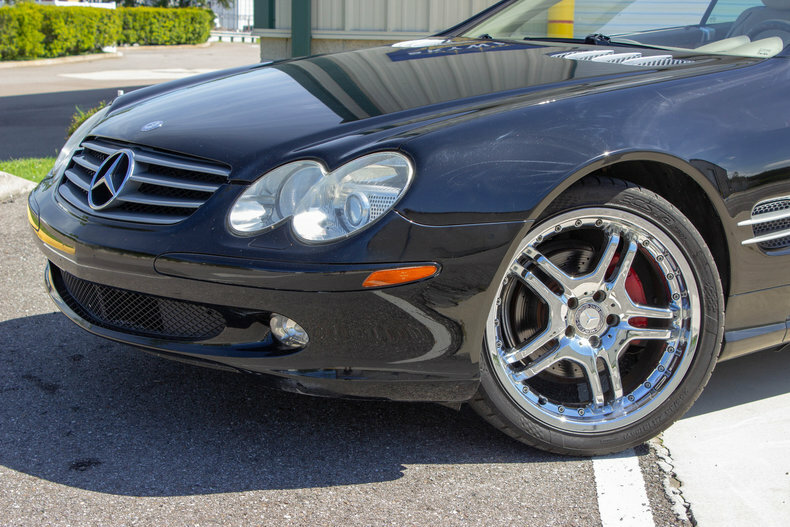 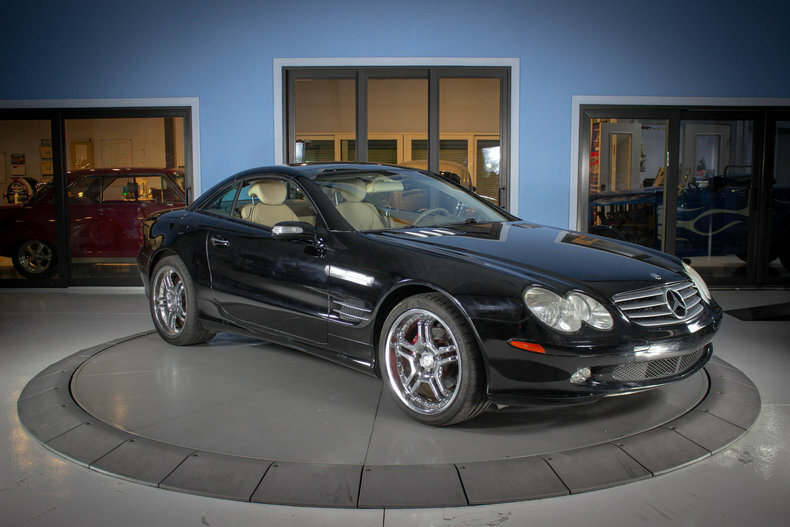 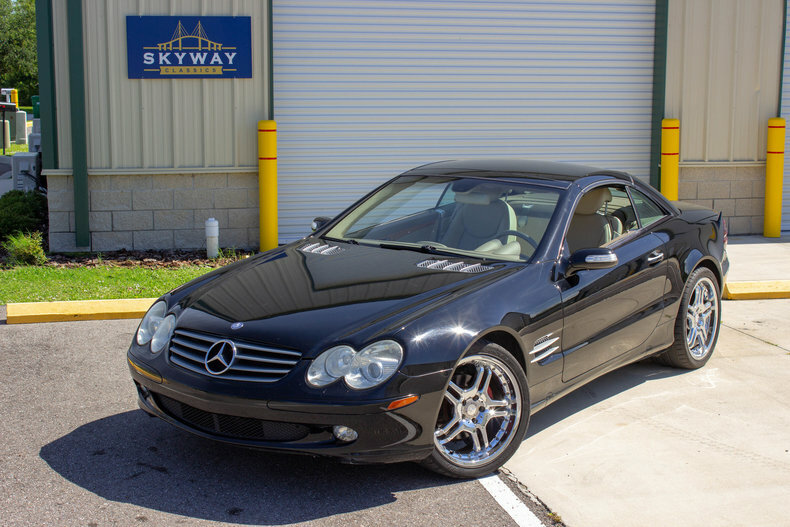 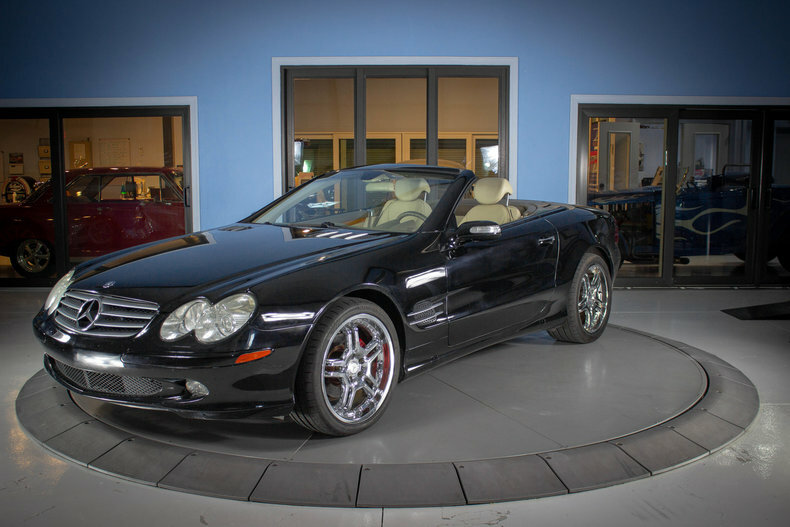 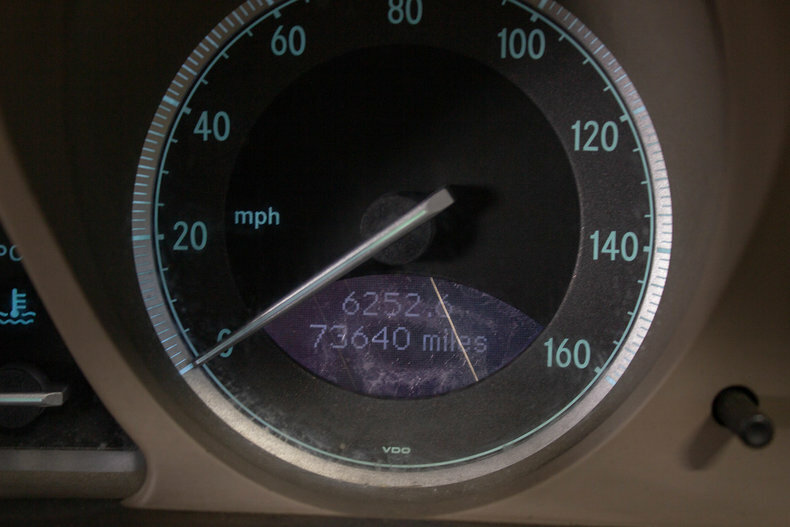 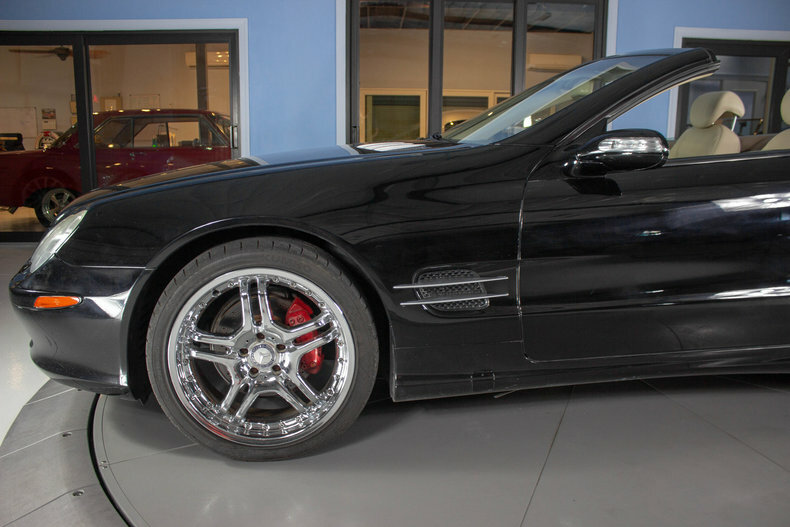 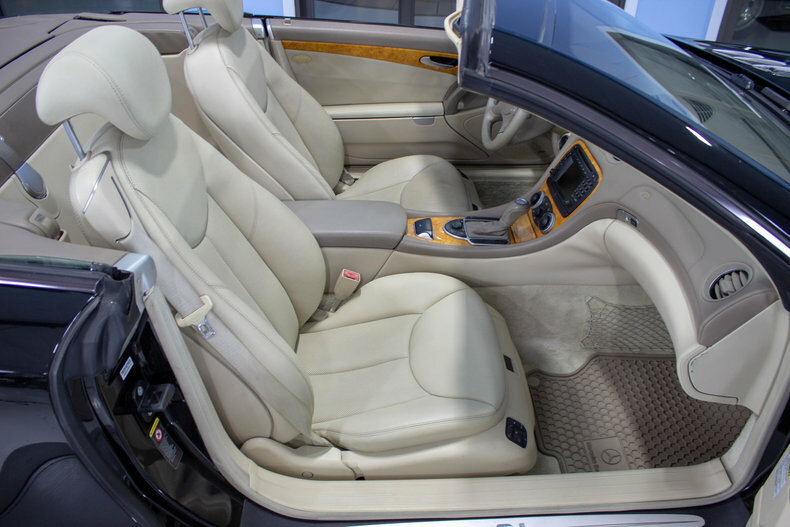 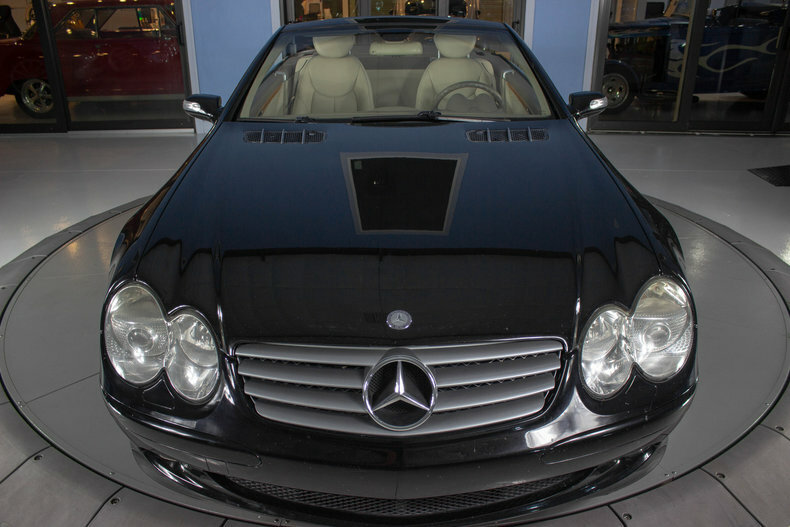 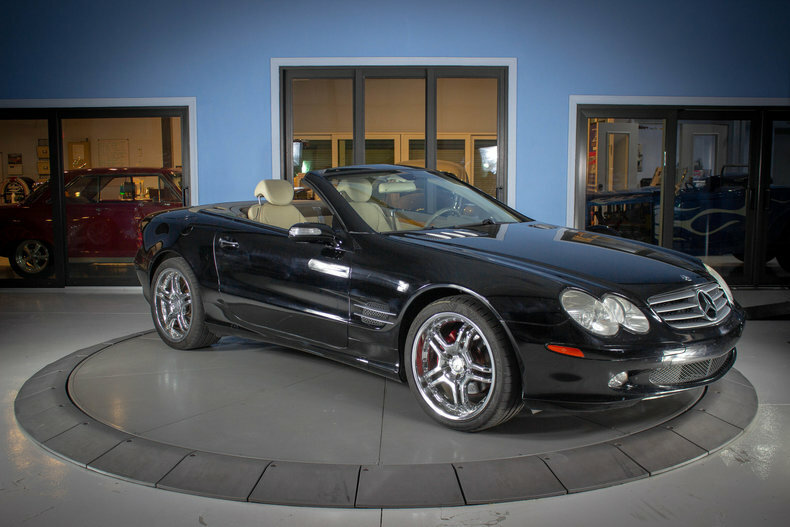 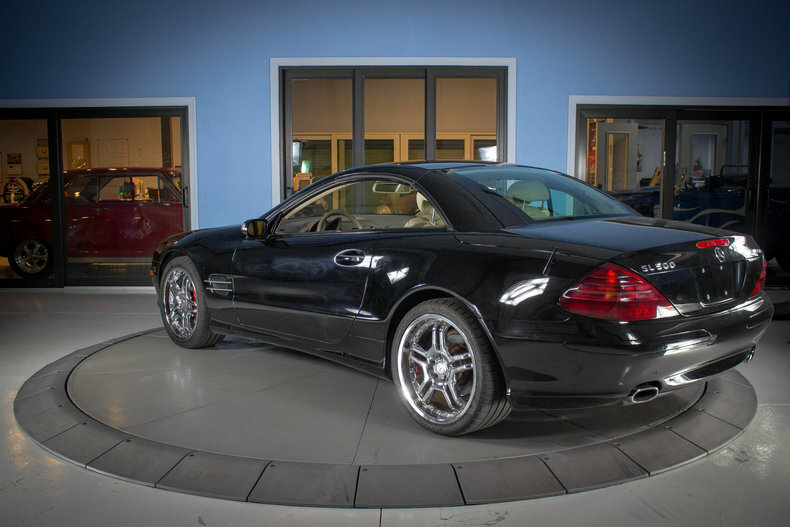 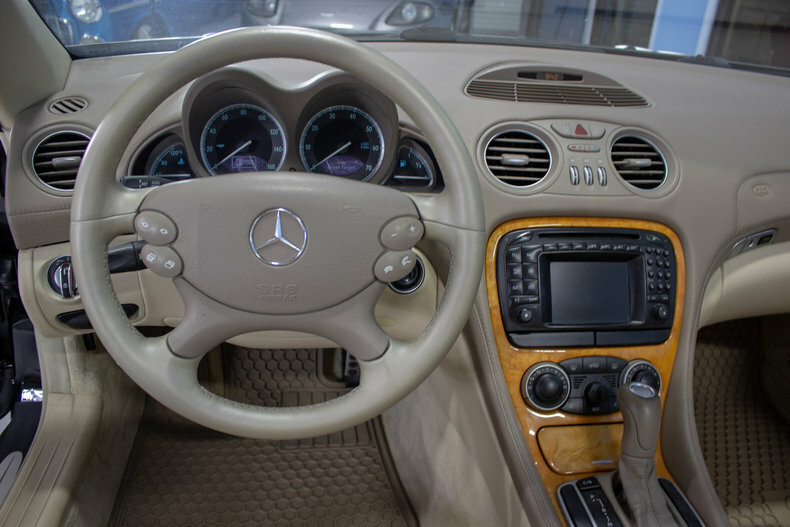 No matter what type of driving you do, the 2004 Mercedes Benz SL500 Convertible we have at Skyway Classics is a car that can do it all. 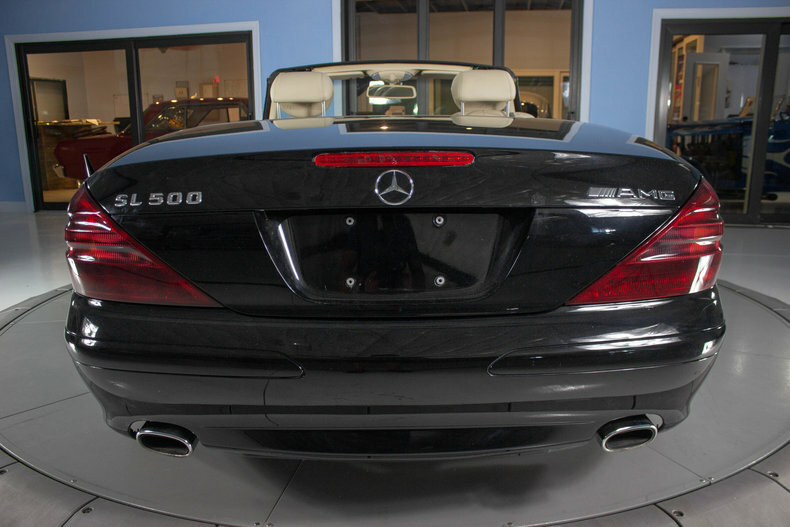 Cruising, touring, or just driving to your favorite restaurant, you can do it in Mercedes Benz style with the top either up or down. 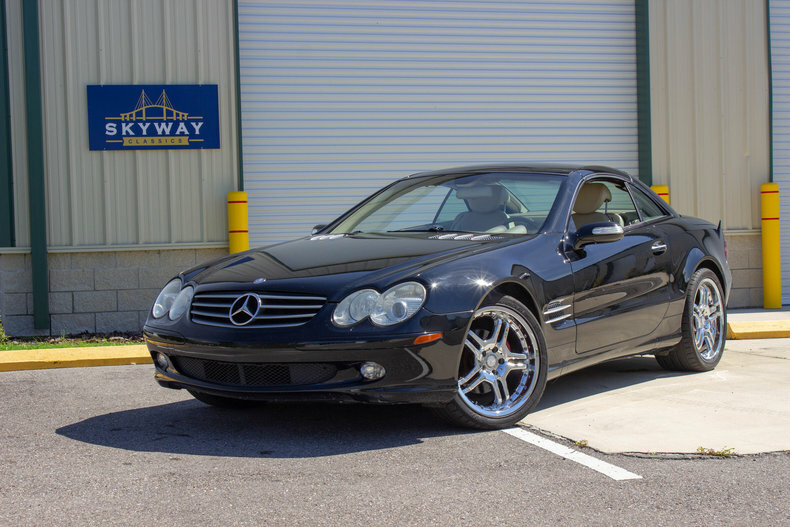 A LOVE FOR THE CLASSICS Welcome to Skyway Classics. 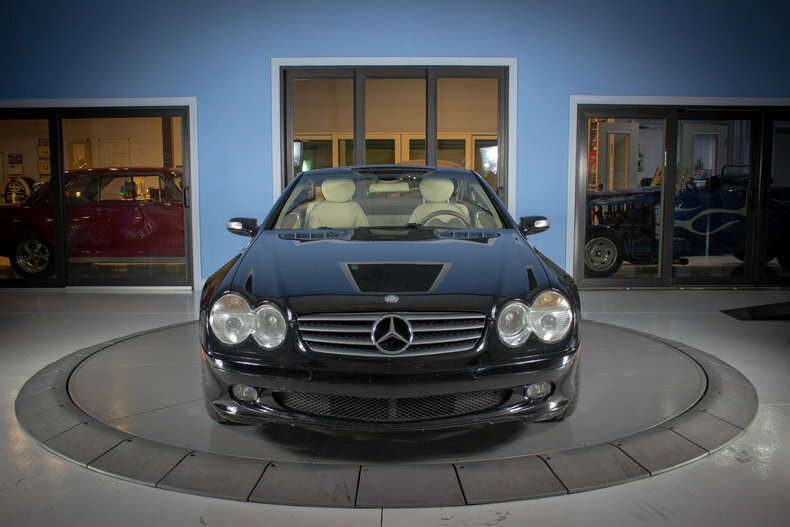 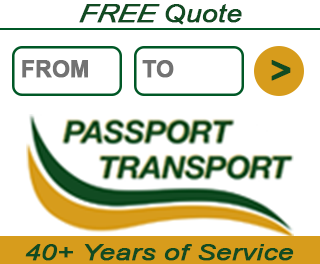 We are the nation's premier classic, collector, and consignment dealership. 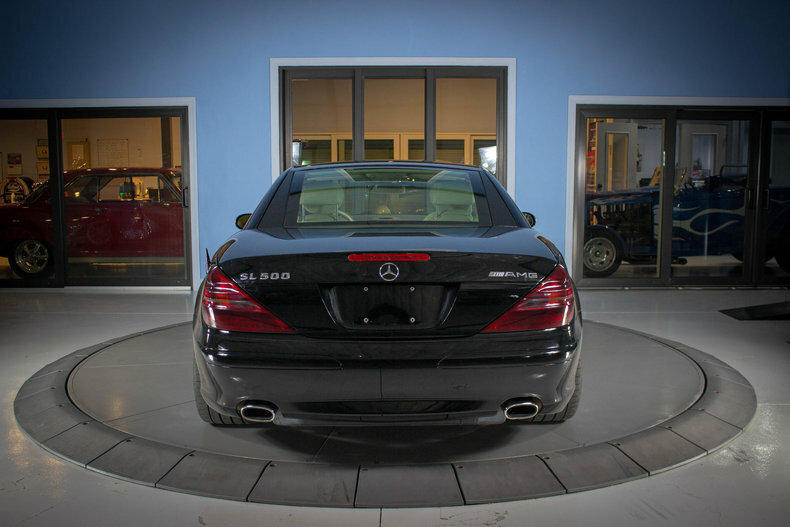 Cars are our passion and customers are our life. 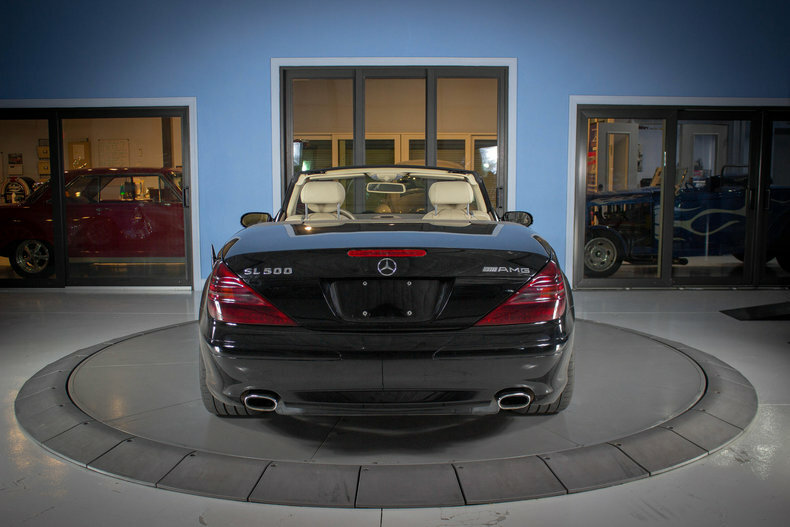 Whether you want us to find you a treasure, sell your vehicle, or purchase your first car, we will ensure your business is handled with care, discretion, and style. 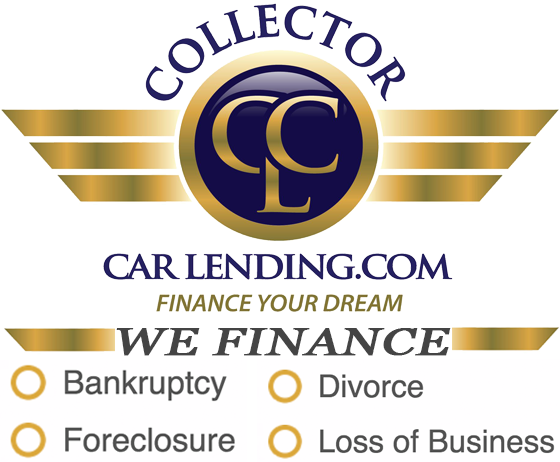 Come see what we have to offer and relive the American Dream today.